Labuan Island situated of the northwest coast of Borneo, in Sabah is a Malaysian Federal Territory. Home to a vibrant offshore financial center, the island is also an important hub for Islamic finance in Malaysia and operates as a free trade and tax free zone. The island is additionally a burgeoning tourist destination, which offers great opportunities for scuba diving and other water recreational sports. Labuan Island, becomes the cynosure of all eyes in November each year, for on the second Sunday of the month; the island commemorates the fallen heroes of WWII, with a ceremony for ‘Remembrance Day’ an occasion also referred to as “Poppy Day” in countries which were affected by WWII. On this day, locals and visitors to the island sport poppy-shaped lapel pins as they gather to pay respects to the brave souls who fought valiantly for the liberation of Borneo during WWII. The Labuan World War II Memorial lies within the pristine Labuan War Cemetery complex located on Jalan Tanjung Batu, a road, which leads from the island’s airport to its main town Victoria. 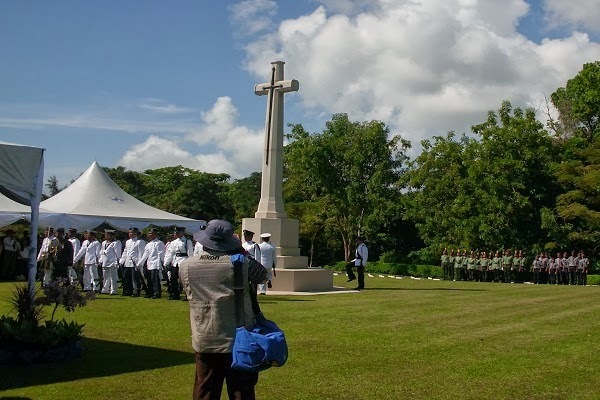 The cemetery hosts the graves of 3,908 courageous Australian, British, Kiwi, Indian soldiers (belonging to the Punjab Signal Corp) and local soldiers who lost their lives, while fighting the Japanese on the island of Borneo, towards the end of the war in 1945. The graves are lined in long neat rows, while most are identified and bear a plaque; some are marked simply as ‘known unto God’. 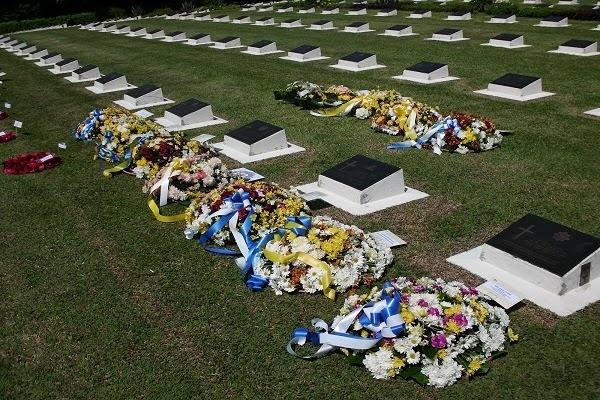 The Labuan War Cemetery and Memorial was constructed by the Commonwealth War Graves Commission, which is also responsible for its upkeep. The site regularly attracts war veteran group tours from Australia. On Sunday closest to November 11th, every year, a somber ceremony to mark ‘Remembrance Day’ is held at this peaceful and tranquil spot and is attended by foreigners and locals alike. This year, this poignant event is scheduled for the morning of Sunday, 10th November.